Since 2015, the Young Talent Competition discovers the next generation of most talented young watchmaking apprentices in the world, supports them in their route to independence by identifying their achievements and puts them under the spotlight. F.P. 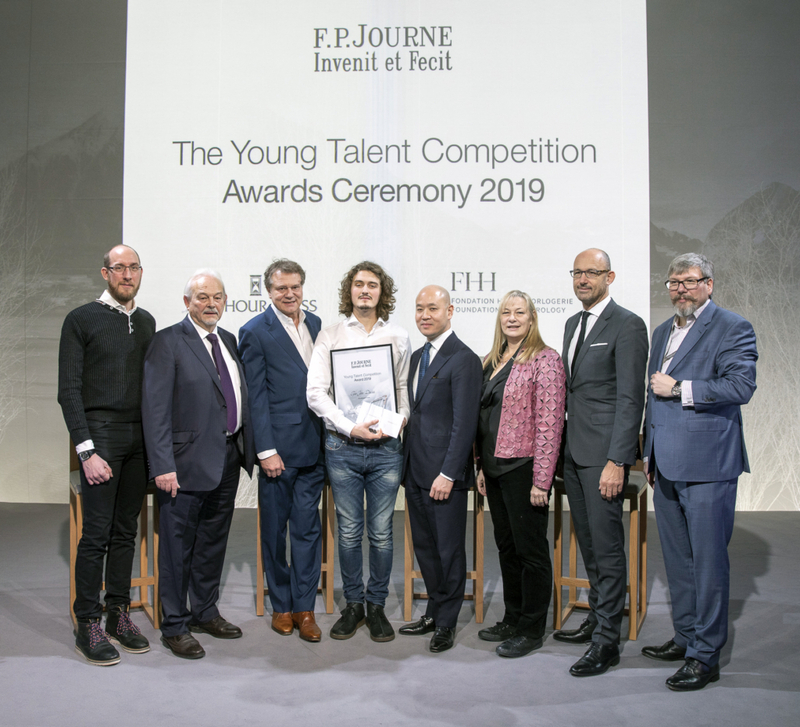 Journe organises the Young Talent Competition with the support of the Fondation de la Haute Horlogerie (FHH) and The Hour Glass luxury watch retailer. Each company aims to perpetuate and support the art of haute horology and the appreciation of horological craftsmanship. 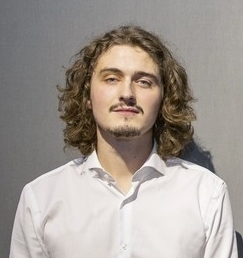 The 2019 winner receives a diploma and a CHF 10,000 grant from The Hour Glass, which will allow them to purchase watchmaking tools. They also have the privilege of presenting their creation at the SIHH in Geneva. The jury of the Young Talent Competition 2019 is composed of eminent personalities from the international horological scene including, Philippe Dufour, Giulio Papi, Andreas Strehler, Marc Jenni, Pascal Ravessoud, Michael Tay, Elizabeth Doerr and François-Paul Journe. Their selection criteria is based on technical achievement, the search for complexity in their realisation, their sense of design and aesthetics. 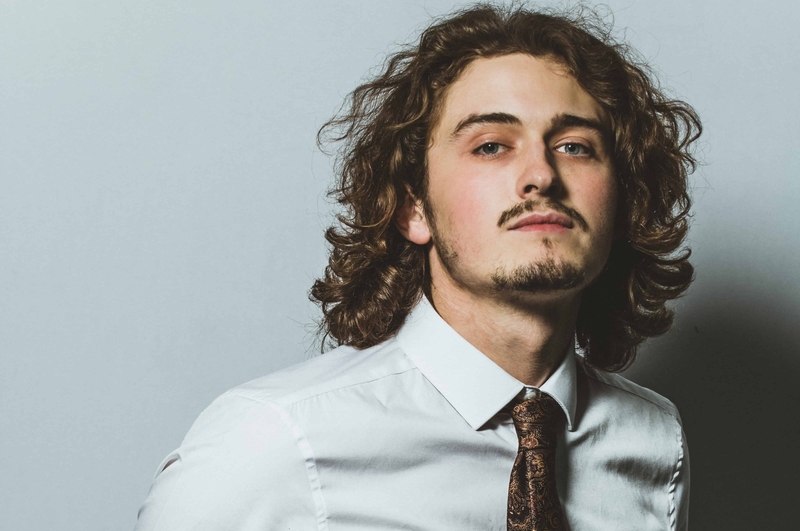 As a committed supporter of the next generation of horologists, we are delighted to bring you an insight into the winner of this year’s prestigious award, Tyler John Davies. MWM: How did you first get interested in horology, what was your inspiration and what might you have done had it not been successful? TJD: For me I fell into the world of Horology by chance. I was fortunate to begin my career at a clock restoration shop, working on the bench learning the basics. 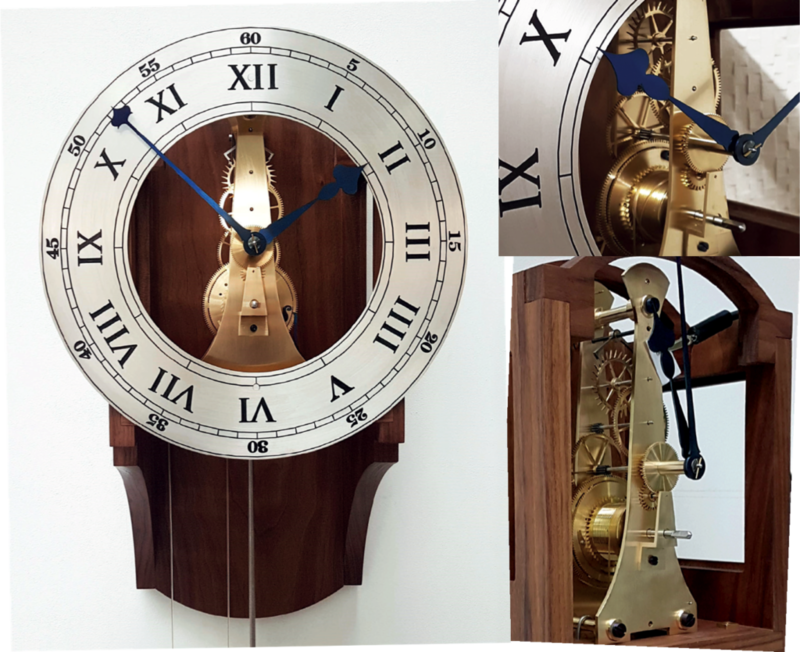 Horology is my perfect subject to make a lifetime career of, it incorporates all of my favorite subjects; Maths, geometry, physics, history and design. Prior to this I had experience working in different industries such as retail, hospitality and construction. I found that in order to know what I did enjoy, I must first encounter what I didn’t. MWM: What was the most difficult part of getting into the industry? TJD: I would say that the most difficult part of becoming a professional was the constant setbacks and learning curves I encountered. I always had an appetite for the knowledge and skills, but that itself isn’t enough, it required a lot of tenacity to keep moving forward. TJD: As well as my restoration work, I am currently working on a new series of designs including collaborations with a Cabinet maker, Glass blower and Jeweller. 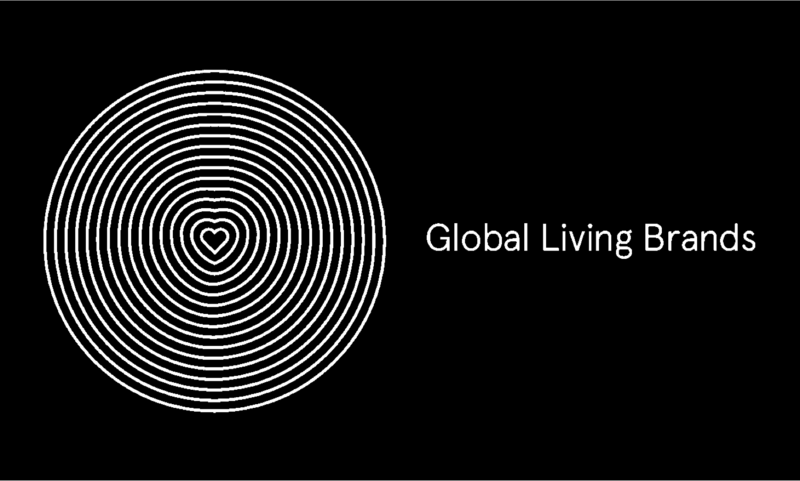 We hope to bring together some of the greatest skills that Birmingham has to offer. TJD: This is a difficult one, I suppose at the beginning I had a vague Idea of what I wanted to create however with perseverance I upheld certain principles such as the balance of both the scientific and artistic. At times it was hard to envision it altogether but eventually the true manifestation came through. I suppose what I am saying is, we may struggle to see the ‘end in sight’, but taking one step at a time in the right direction will sure enough get us there. TJD: As a tradesman most of my disposable income is spent on tools and machinery, however my everyday watch is a Seiko chronograph, it is a great for utility purposes and I don’t need to worry about it getting knocked. The watch I wear when not working is a Tag Heur Link, I was awarded this watch by the LVMH group, for the level of work I produced throughout my university education. TJD: The watches I would like to own are a different story. My preference would be the independents of Haute Horology. So firstly, it would have to be an F.P. 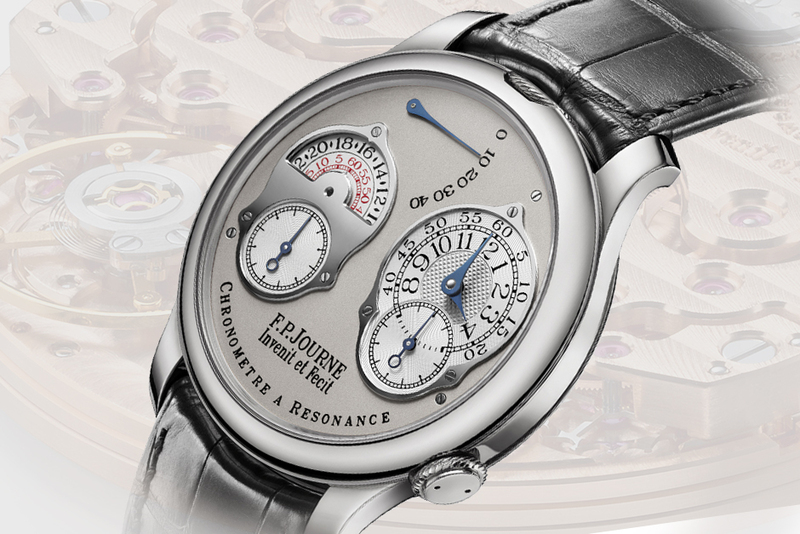 Journe, probably the Chronomètre à Résonance, a contemporary classic by a person from who I have much admiration. My other choice would be an Akrivia, I love the work these guys are producing, the AK-06 strikes me most, it is an elegant yet industrious piece of art. 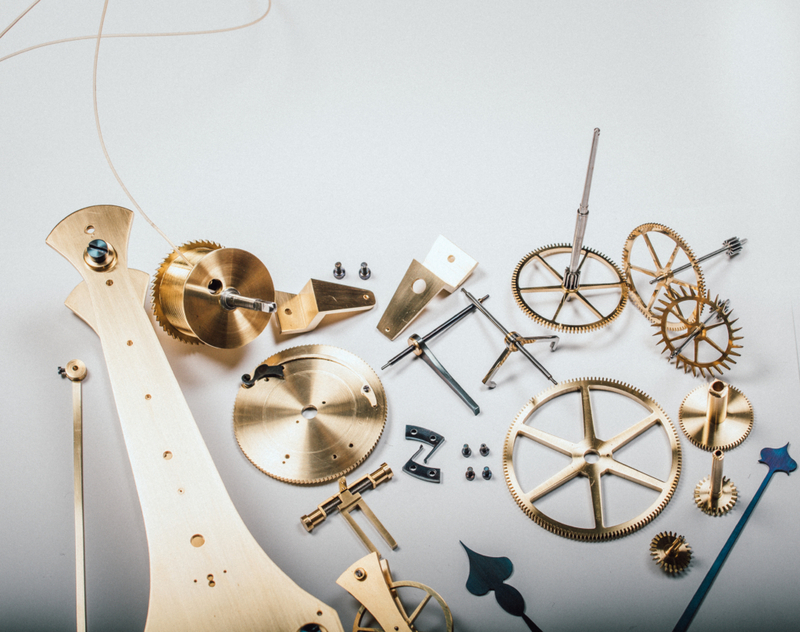 TJD: The watch industry is a highly competitive and energetic environment, this fuels the many expressions of mechanical art and design that huge numbers of people follow with a passion. It really is a great pleasure to be involved in something like this, whoever we may be, however great or small. TJD: There isn’t much that I don’t like about the industry, maybe the clichéd jokes that get told from time to time, but it keeps you ticking along. TJD: My restoration business is getting busier by the day, plans for expansion are in motion. I want to be able to put more effort into manufacturing as this is my true passion. It is a way of expression and manifestation, something that resides in all of us. Ultimately, I would like to develop a creative emporium in Birmingham’s Jewellery quarter, we have so many great artisans and skills to offer, that combined with a support network, I believe we can produce some outstanding pieces that will reach far and wide. Born on the Isle of Bute off the west coast of Scotland, Tyler spent his early years here, until moving to England with his mother, Vicky. Times were sometimes difficult for them, not having much of a support network from family, this was emphasised when his Auntie Tracey died at an early age from breast cancer, leaving Vicky to look after Chelsea her daughter. They often moved house for reasons unclear to Tyler, but it came to be adventurous and a good way to meet new people. Growing up he was always interested in understanding how things worked mechanically and socially. He was also spiritually minded with a vivid imagination, having a number of supernatural experiences. In his teen years, although he enjoyed learning and was competent at school, he began to rebel and lose interest – more as a result of the schooling structure itself. At 16 he left school with average grades and money earned to travel to Australia, in search of new experiences. After 3 months he came back to England with a promise he would return one day. At home in Bromsgrove reality had set in even more so – he worked restaurants, retail shops and building sites until securing an apprenticeship making bespoke kitchens and bedrooms. Unfortunately, this was short lived because of the recession, which led him to a dark place and he found himself in trouble with the law a number of times. Luck had finally struck at the age of 19 he was offered an apprenticeship at a local clock restoration shop. 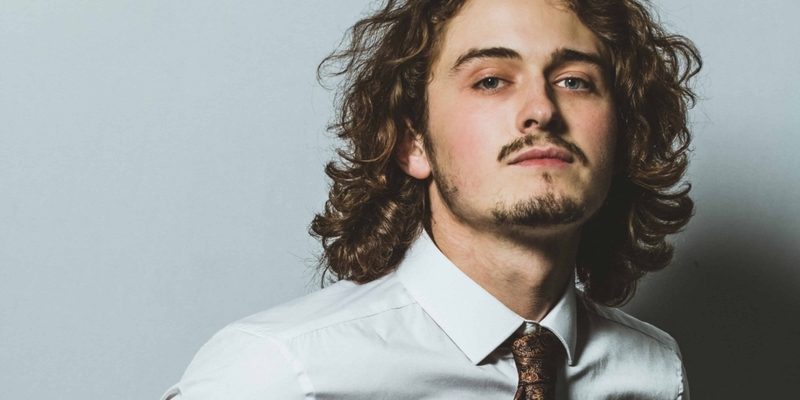 He worked hard for three years until deciding to go to Birmingham’s School of Jewellery to study Horology at degree level and gain professional membership of the British Horological Institute (BHI). 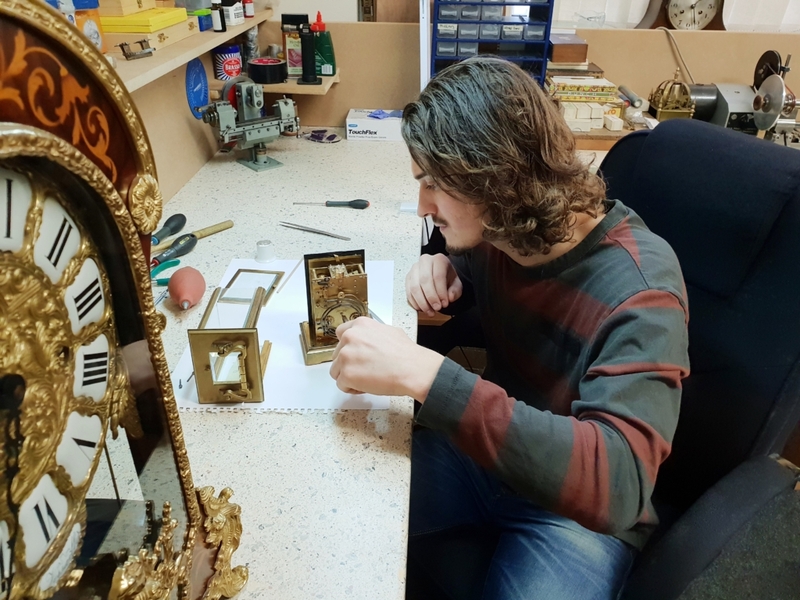 During this time, he graduated with First class honours and succeeded in his aspiration of creating his own clock, which has brought him to where he is today.